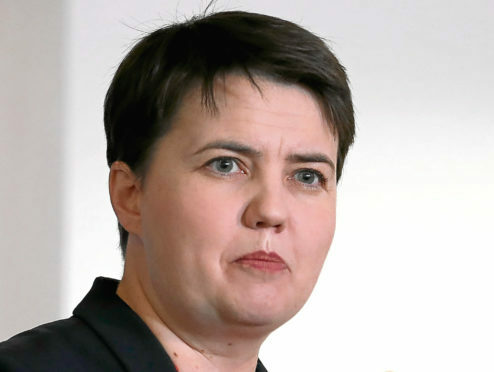 Cash to help the poorest pupils is being diverted to plug gaps in school budgets, says Ruth Davidson. Challenged over how the Pupil Equity Fund is distributed, Nicola Sturgeon said some of it has been used to send pupils and parents on weekend trips away. The £120m warchest is given directly to headteachers to improve the performance of poorer children, with academic attainment still largely dependent on how wealthy a pupil’s parents are. Ms Davidson claimed cash was either lying unspent or being used by schools to help with “plugging gaps left by budget cuts or to pay for other costs like campus police, staff bonuses and installing an astroturf pitch”. Ms Davidson demanded the First Minister “give me an assurance today that taxpayers’ money intended to help poorer pupils will do just that and stop being siphoned off elsewhere”. Ms Sturgeon said money was allocated to “some things that at first glance many people would think ‘is that appropriate in terms of raising attainment?”‘. But she insisted it went on measures that “headteachers say help raise attainment in their schools”.